Today celebrates Free Comic Book Day (@FreeComicBook)! On the first Saturday in May, local comic shops usually offer a selection of free comics that give new and existing customers a taste of what each publisher has to offer in the hopes of drawing in new readers. Shops may also run promotions or have special guests — our local shop will have a few comic artists on hand to do free sketches for the kids. I feel as though the early 2000s X-Men movies were the franchise that jump-started the modern comic book movie era. That being the case — and because I loved X-Men and X2 — the first film deserved a spot on the list for being one of the pioneers that made it so that one day (about 10 years later) it would be okay for someone to be wearing “yellow spandex” and still be taken seriously. While I enjoyed the original Alan Moore & David Lloyd comic, this movie caused me to actually rethink some of the beliefs I had grown up with. Should the government always be trusted to do what’s best for its people? Despite any religious beliefs, should a government regulate sexuality? What happens with the government is dictating the news? 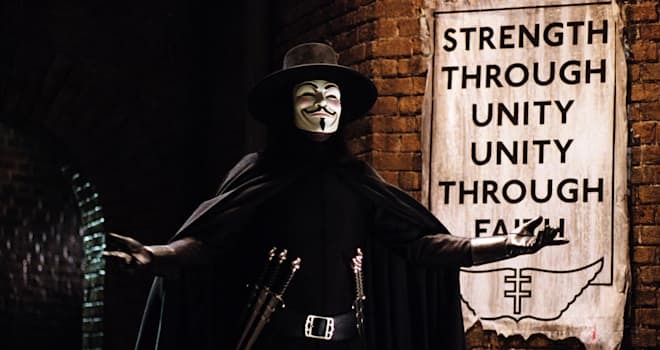 Not that I ever would, but the final destruction of Parliament and Big Ben in the movie made me want to go start a revolution somewhere! Who knew that the current run of the Marvel Cinematic Universe would have started off with the huge success of (frankly) a second-tier character within Iron Man. Though I’m not primarily a “True Believer” Marvel fan, from what I recall, Iron Man was not one of the publishers heavy hitters when it came to selling comics. It’s safe to say that this one surprised a lot of people and has shaped the trajectory of the Iron Man character on and off the screen. 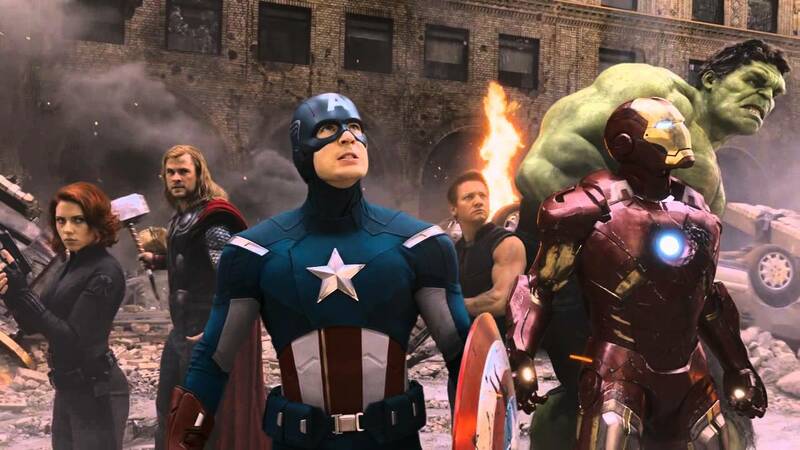 I’ve mentioned before that I’m more of a DC fan than a Marvel one, but until I sat in the theater and watched the first Avengers team movie… I had never had so much FUN in a movie theater! I vividly remember smiling from ear to ear during the length of the movie. Each character was given the opportunity to shine and Marvel showed that all of the world building and character development from the solo movies was paying off. I vaguely remembered that Blade was a comic book character when the movie came out in ’98, but for a kid who had always been fascinated by vampire stories and lore, this was the perfect action flick. Wesley Snipes is both a bad mother and shows perfect comedic timing with his little quips and one-liners. I’d never read any of the Deadpool comics and probably wouldn’t have cared for the initial incarnation of the character anyway… the reason the Deadpool movie makes the list for me is close to my reason for including The Avengers — I spent this entire movie laughing. Every pop culture reference and allusion to some piece of X-Men or Marvel history sucked me in. If I’m being honest, it probably has more to do with how well Ryan Reynolds pulled off the character than actually liking the character of Deadpool himself. This was the first time growing up that I remembered seeing a Batman that wasn’t on the reruns of the campy 1966 series. Don’t get me wrong, I loved that show as a kid and still do… but this was something totally different. This was a Batman grounded in reality. He had gadgets that seemed like they could really exist. He had body armor, which seemed more realistic for a crimefighter than light gray spandex. Everyone talks about the soundtrack for these Guardians movies like it’s one of the actors in the movie — and I don’t think that’s wrong. James Gunn has built his movie around the soundtrack and has given us a team of heroes (?) that engage in planet-hopping adventures and still have a sense of humor. An homage to Star Wars? Indiana Jones? A bit of both? 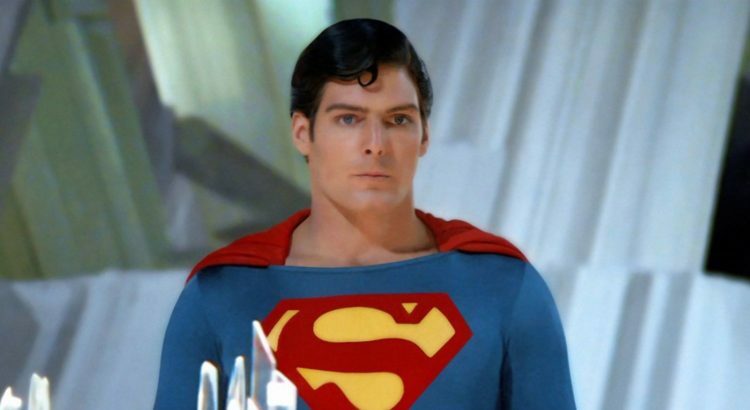 As much as I love Superman: The Movie, Superman II will also hold a special place for me. I recall watching this movie regularly with my Dad, who would also quote the movie pretty often. There was always a lot of “Wrong again, Zod!” or “Kneel before Zod!” going on in our house growing up. The cast is outstanding — Gene Hackman, Christopher Reeve, Margot Kidder, Terrence Stamp — and this film has some of the most memorable scenes from a movie I grew up watching: Clark’s revenge at the diner at the end of the movie, the battle in Metropolis, and the double-cross at the Fortress of Solitude. I saw the movie long before realizing it had begun its life as a comic homage to the Commander Cody movies of the 1950s. Not only is this a remarkably faithful adaptation from the page to the screen, but it has a solid cast with Billy Campbell, Jennifer Connelly, Alan Arkin, and Timothy Dalton. (It also doesn’t hurt that I probably had a little bit of a crush on Jennifer Connelly after seeing this movie… and can you blame me?) James Horner’s score is triumphant. It has the look and feel of an Indiana Jones story if you just swap archaeology for aviation. One of my favorite movies ever and certainly my favorite comic book adaptation. What are your favorite comic to movie adaptations? Let us know in the comments or get in touch with the show through email, voicemail, or Twitter!